January is a month where I like to return to old habits, so I was happy to take up the latest Japanese Literature Challenge, as hosted over at the Dolce Bellezza blog. This time around, the event runs from January to March, but with other commitments just around the corner, I decided to squeeze as much as possible into the first month of the year. Dear Fairies, Tony is doing great things for Japanese literature, with his wide-ranging taste and reviews that give a real sense of what the book is like. He never shows off but just gives as level^headed a view of the book as he can, so we readers can make up our minds. Enjoy your wings, and please sometime tell us which of the two or three hundred Japanese colors they are. Nice to have a month with no turkeys!! 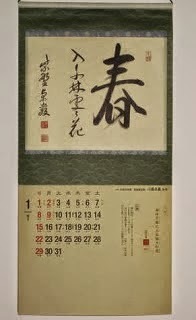 I do love the Japanese Lit Month but just couldn’t make it this year. Your list of books read does however give me some good ideas for next year…. Karen – Good to hear (I’m sure these won’t be the only Japanese books I read this year, either!). Wonderful post, Tony, which I will highlight on my weekly State of the Challenge update. Like Kaggsy, I’m so glad there were no “turkeys” for you. For me, I had to abandon Six Four which I had started twice before in my life. So, onward with The Pillow Book read along with Frances and Caroline.